I’ve been enjoying the last few months, as finally the market dynamics are changing and there is a lot of interesting things happening in the mobile space. 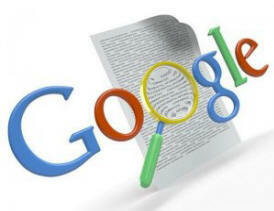 It is quite fascinating to watch the war between Google and Apple, with lawsuits, new Smartphones and unexpected news. The war has become so huge, that it has awakened the interest even in the non-tech audience – Google vs. Apple makes headlines. Back in the days Google and Apple worked on various projects together, but ever since Google’s Android started eating Apple’s market share, the relationship between the two got ugly. 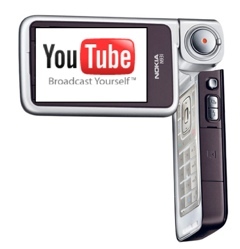 Now, prior to the new iPhone launch, Apple announced that iOS 6 will not include YouTube or Google Maps. 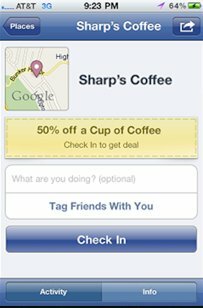 This is a big shift in dynamics as iPhone has had three of its important functions from Google since the iPhone launch in 2007: maps, search and YouTube. There are also rumors that Apple is considering removing Google as default search, as it is said to cost Apple 1 billion dollars per year in shared advertising revenues. In China, the company is already using local search engine Baidu instead of Google – if Apple decides to change Google to Bing or Yahoo in other markets they will be attacking Google’s core business. This may go in two ways: either Google will pick up the game and improve its Maps and YouTube user experience in apps, or these two will focus on different ways to make other company’s life miserable. After winning a 1 billion lawsuit against Android-powered Samsung, Apple has decided to ask the court to include other Samsung hardware, such as the Galaxy S III, Verizon Galaxy S III, Galaxy Note and Galaxy Note 10.1 into its complaint against the Galaxy Nexus. Meanwhile, Google-owned and Android-powered Motorola has filed a lawsuit against Apple, stating that all Apple products in the U.S.(except iPod and iPod Nano) infringe upon seven patents, including location reminders, email notifications, video playback and Siri. If Motorola is as successful as Apple against Samsung, all Apple products might be blocked in the US market. Irony. The question is: what do the users gain from this? While it might be good that manufacturers are forced to think beyond Apple and offer more innovative and different designs, it is a pity that the focus has shifted from developing ground-breaking products to lawsuits. While competition should be fair, the battles should happen in the market – not in the court rooms. Maybe it was the months Apple spent talking to the lawyers, that delayed the new iPhone launch? 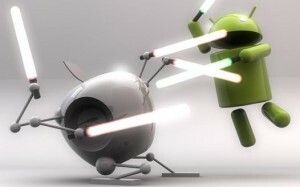 Apple vs. Android – perfect occasion for Nokia? If Apple and Android continue the lawsuit war blocking each other’s mobile devices in different markets and forget what is best for the users, consumers may move to another system. In fact, Nokia is launching a new Windows phone 8 on the 5th of September 2012, prior to the new iPhone launch. As both Nokia and Microsoft have a lot in stake, they will invest millions to make it huge. Nokia has had a rough path lately, but hopefully the Windows phone 8 system will be more flexible making it easier for the developers to create apps, and shaking power dynamics between the OS. Nokia should definitely not be ruled out, as the conflict and lawsuits between Apple, Google and Android manufacturers may be a perfect occasion for Nokia to get back in the game. Who knows? In the end, even Apple’s Siri said, that Nokia Lumia 900 is “the best Smartphone ever”. 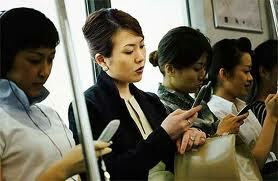 Next story Mobile Marketing Trends: Mobile OS Wars – Is There Life Beyond Android and Apple? Previous story Brand Domains: Passing Trend or The End of .com?